Our design team has over 30 years of experience in the foodservice industry. 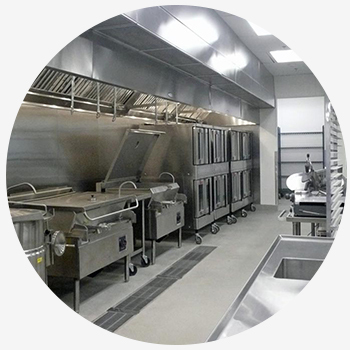 We specialize in commercial kitchens and offer a wide range of professional planning and design services. Our goal is to deliver quality work to better serve our clients. We sell foodservice equipment and furniture at wholesale prices. Our company represents over 1,000 factories and their products. We catalog major brands of equipment and furniture manufactuerers and can cross-reference a variety of quality alternate manufacturers that will meet your needs and fit your budget. A foodservice consultant is a professional advisor who, for a defined scope of work, works as an advocate for their client in achieving their goals through the design and implementation of foodservice facilities. Consultants provide expertise, knowledge and experience to give outside assistance and resources that do not exist in-house. As independent professionals, our only focus is the interest of our clients.